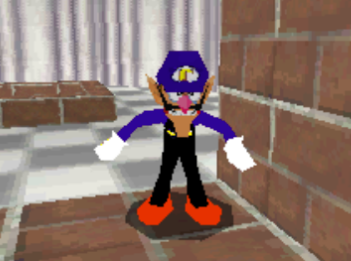 I've made a hack of Waluigi for Super Mario 64 DS, and it's for the Europen rom (EU)(M5) Here's a video with gameplay and download links in it as well: https://www.youtube.com/watch?v=ZYDSTWE2TOo He's a bit short because he had to be fitted over Mario. Also, thank you to Fiachra from Kuribo64 forums for helping me with this hack. Great work, I'm just curious why not replace Luigi instead. I understand that Mario is accessible earlier, but I can wait. Thanks Also, the reason I replaced Mario is because I wasn't able to find Luigi's head model in the database, for some reason the db only has Luigi's head model from when he has the invisible cap on, lol.